Important: The DTM is significantly improved when the point cloud classification is used: How to generate the point cloud classification. If the point cloud classification is available, a terrain mask is computed based on the classified point groups. Only the Ground and Road Surface groups are preserved in the DTM. To improve the DTM, all the terrain points should be assigned to one of these point groups. To manually move points between the automatically generated point groups, the Edit Densified Point Cloud option can be used: How to edit the point cloud in the rayCloud. 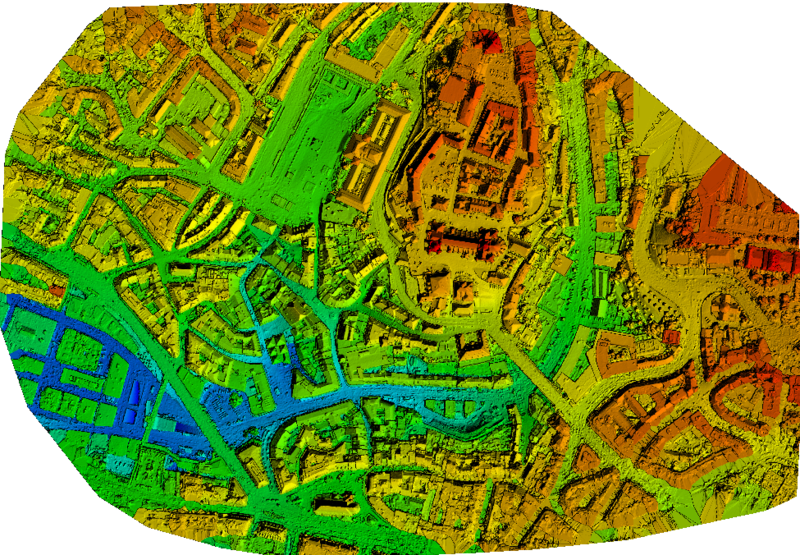 If the point cloud classification has not been generated, which is not recommended, all the points are treated as non-terrain points and the DTM is a smoothed version of the DSM. Note: Due to the smoothing nature of the DTM generation algorithm, results are better when the DTM resolution is moderately lower than the resolution of the project. By default, the resolution of the DTM is set to 5x GSD of the project. It is possible to edit it to a higher multiple of the GSD or any value higher than the default one. Takes into account all of the points in the densified point cloud except points that you assign to the Disabled point class. Applies little to no smoothing to points that you assign to the Ground or Road Surface point class. Applies smoothing to points that you assign to the Unclassified, High Vegetation, Building, Human-Made Objects, or any other point class. 2. Select the processing step 3. 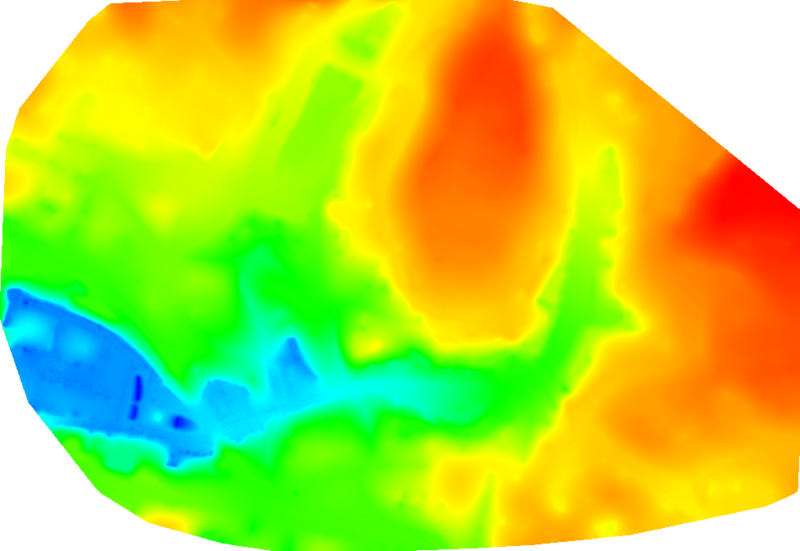 DSM, Orthomosaic and Index. 3. Select the tab DSM and Orthomosaic. 4. In the section Raster DSM, make sure that the option GeoTIFF and Merge Tiles are selected. 5. Select the tab Additional Outputs. 6. In the section Raster DTM, select the GeoTIFF output file format to generate the DTM. 7. (optional) Select Merge Tiles, to merge the individual tiles and generate the DTM in one file. 8. In the Raster DTM Resolution section, select the resolution of the output file. 10. Process step 3. DSM, Orthomosaic and Index. 1. On the Menu bar, click Process > Generate DTM. Important: If the Raster DSM is not exported or the tiles of the Raster DSM are not merged, the option is grayed out. In this case, generate the DTM while processing step 3. DSM, Orthomosaic and Index as described above. I did not got the smooth results. In my case that did´nt work very well. I still have many artefacts from buildings inside my DEM. Shown in the following screenshots. How to solve this problems??? During DTM generation, the disabled points are not definitively removed but rather smoothed which can lead sometimes to certain inconsistencies. Besides as the classification is automatic it might need some manual correction. That's why sometimes we would recommend to generate the DTM in the same way you do so for the DSM, but assigning all point from all classes, except "Ground" and "Road Surface", to the class "Disable". This usually leads to better results. If you want to preserve some features, you can keep them by assigning them to the class "Ground". Make sure that all the points from features you want to preserve are assign to the correct class. Hope this will you to improve the quality for your DTM.